The changing remit of treaty-making warrants appropriate mechanisms of domestic constitutional review. Constitutional design to expressly include ex ante review of treaty-making is now well established following the steps first taken by the EU (since 1957) and France (through its 1958 Constitution) and has also emerged in the practice of other constitutional systems. Ex post review of treaties has developed in practice but has (it seems) very rarely been expressly provided for. The EU's constitutional practice illustrates that it can be sensitively deployed in a manner that can (in theory) balance the tension between pacta sunt servanda and constitutionalism, thus offering valuable insights for constitutional design (and practice) elsewhere. Mario Mendez graduated with a first class degree in Law and Politics from QMUL and was awarded the Drapers' Scholarship to study at the College of William and Mary in Virginia where he completed an LLM in American Legal Studies. He was awarded a distinction on the BCL at the University of Oxford and the Vinerian Scholarship Proxime Accessit (second place). He completed his PhD at the European University Institute (EUI). He completed the Post-Graduate Certificate in Academic Practice at Queen Mary (awarded with distinction). 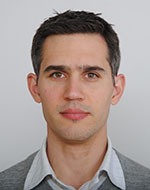 Mario has worked for the Academy of European Law at the EUI and has been a visiting research scholar at the University of Michigan's Law School and a trainee at the European Commission. He is a research associate at the University of Zurich's e-Democracy centre and collaborated with the centre most recently in developing a voting advice application employed in the 2012 London mayoral elections. He is a former member of the editorial committee of the journal Public Law. His research interests are in constitutional law (EU, UK and comparative). Most recently he has completed a co-authored monograph entitled Referendums and the European Union: A comparative inquiry for the Cambridge Studies in European Law and Policy series; this book has its origins in a project that was funded by the Swiss National Science Foundation.